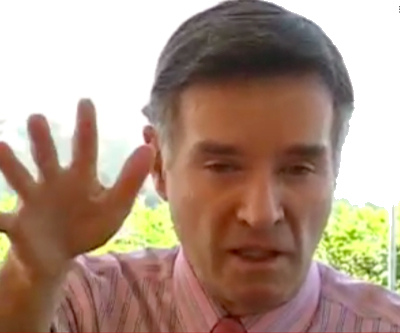 Eike Batista's iron ore producer MMX reported a much-higher-than-expected $400 million loss on Wednesday adding to the financial woes of the Brazilian billionaire. The six publicly-listed companies under his control have all experienced massive declines in market value so far this year. MMX is down 29% while his oil and gas firm OGX suffered a 43% drop since the start of 2013. Logistics company LLX and power generator MPX has fared better but Batista's personal wealth is down $1 billion just in the last month and has declined by more than two-thirds over the past year to an estimated $9.5 billion. Batista's listed firms have combined debts of some $3.5 billion, up sharply from last year, even as the capital requirement to bring the various company projects on stream keeps rising. But apart from publicly disclosed indebtedness, a Bloomberg report on Monday suggested the business magnate has also been using his shareholdings in the companies he controls as collateral for loans to build up EBX Group, the ultimate holding company that controls his empire. Batista has $2.8 billion in outstanding loans with the Itau Unibanco Holding SA in Sao Paulo. Additionally, he owes $2.4 billion to Banco Bradesco SA plus another $805 million to Grupo BTG Pactual, which also gave him a $1 billion line of credit according to unnamed sources. He has been selling off other assets to raise cash. Last year, he sold part of his EBX to General Electric Co. and Abu Dhabi's Mubadala Development Co. Batista's also been trying to sell all of his gold company AUX, as well as shipbuilder OSX Brasil SA. Batista is also reportedly in talks to sell MPX to Germany's E.ON.